"What about the words 'I plead the Fifth' is unclear, ambiguous, or confusing to a reasonable officer? Nothing." 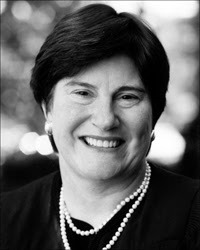 The Honorable M. Margaret McKeown authors a great habeas en banc decision this week, that strongly reaffirms the Fifth Amendment right to counsel -- despite the restrictions of AEDPA. See Anderson v. Terhune, No. 04-17237, __ F.3d. __, 2008 WL 399199 (9th Cir. Feb. 15, 2008), decision available here. 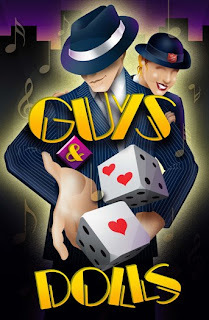 Guys and Dolls, "Law and Order," and the Country Western Classic, "What Part of No," all support her analysis, in what is now the new lead Ninth Circuit case for invocation of the Fifth Amendment right-to-silence. Players: Decision by McKeown. Big victory for Sidley Austin’s Jeff Green, ED Cal AFPD Dave Porter, NACDL’s Sheryl McCloud, among others. Facts: Murder-suspect Anderson was questioned by cops. Id. at *2. He ultimately exclaimed, “Uh! I’m through with this. I’m through . . . . I plead the [F]ifth.” Id. at *3. A cop retorted, “Plead the [F]ifth. What’s that?,” and continued questioning until Anderson confessed. He was convicted of special circumstances murder. Id. The state trial court found no Fifth Amendment violation because the “invocation was ambiguous,” the state appellate court affirmed, and the federal district court (E.D. Cal D.J. William Shubb) denied the petition for a writ of habeas corpus. Id. at *1. Issue(s): “Anderson challenges his conviction of special circumstances murder on the grounds that he was denied his constitutional right to remain silent and that admission of his involuntary confession into evidence violated his right to due process. Specifically, Anderson claims that he invoked his Fifth Amendment right to terminate his police interrogation and that the police officer's continued questioning violated that right.” Id. at *1. Held: “[T]he state court's conclusion that Anderson’s invocation was ambiguous was an unreasonable application of Miranda and based on an unreasonable determination of the facts . . . . Only one reasonable conclusion can be gleaned from his statements, especially his last declaration, ‘I plead the Fifth’: Anderson invoked his right to remain silent and wanted to end the interrogation. Construing the officer's statement, ‘Plead the Fifth? What’s that?,’ as asking what Anderson meant is also an unreasonable determination of the facts . . . . These errors were not harmless and, accordingly, we reverse the judgment of the district court and remand with directions to grant the writ . . . .” Id. at *2. Of Note: Even under AEDPA’s deferential review, this case seems like a defense slam-dunk. (Visiting) D.J. Hogan and Judge Kozinski didn’t see it that way, however, when they ruled as a panel against Anderson – without oral argument! See 467 F.3d 1208 (9th Cir. 2006) (McKeown, on the original panel, dissented). (Interestingly, former Kozinski clerk Judge Ikuta later joined the majority en banc decision reversing her old boss). Judges Silverman and Rawlinson, on the en banc panel, concur in the judgment but disagree with the scope of McKeown’s majority decision. Id. at *9. Judge Bea concurs in part and dissents in part, and Judges Tallman and Callahan dissent. Id. at *11, *15. Anderson was decided by one of the old fifteen-member en banc panels – if you have a Fifth Amendment or Miranda issue before the Ninth, odds are a judge or two on your panel was on Anderson. The case serves as an excellent litmus test for a judge's view on Miranda and Fifth Amendment issues. 3) If cops continue questioning despite an unambiguous invocation, the defendant (generally) doesn’t “waive” the Fifth by later answering further questions, id. at *8 (Judge Bea’s beef with the decision in the dissenting portion of his opinion, id. at *12). The Big (Unanswered) Question? Does some break in time before a later Fifth Amendment waiver by the suspect "cure" any Fifth Amendment problems? See id. at *8 (Section V of the majority decision). Let’s hope the Supremes don’t decide to answer that question by taking Anderson up. For Further Reading: Over a year ago, we touted JudgeMcKeown’s dissent (and lamented the original A nderson decision). See Anderson Case o' The Week blog here. As should be clear from the above posting, we're delighted to see this dissent blossom into an en banc majority decision. A recent Volokh Conspiracy blog, however, was less enthused about the en banc opinion – and speculates about the possibility of Supreme Court review on the "waiver" issue emphasized by Judge Bea. See Volokh Conspiracy Posting here. Bea's habeas dissents are unwelcome cert.-bait: Musladin is still fresh in our mind.